Not many people know the name Mika Pyorala. But they may want to learn. On day one of Flyers’ training camp at the Skate Zone in Voorhees, N.J., Philadelphia coach John Stevens paired 28-year old Pyorala on a line with Scott Hartnell and Jeff Carter. With a healthy number of hopeful forwards looking to make an impression, no one expect the move to stick. But it did. Eminger signed a one-year deal with Philadelphia last offseason, but was traded to Tampa Bay with Steve Downie for defenseman Matt Carle. He was then traded to Florida. Eminger is a unrestricted free agent, but has yet to sign with any team. He scored 23 points in 50 games with the Lightning. According to the Swiss League hockey magazine Slapshot, defensive center and former Blue Jacket Jiri Novotny, is waiting on a contract offer by the Flyers before making the decision to depart for the KHL. 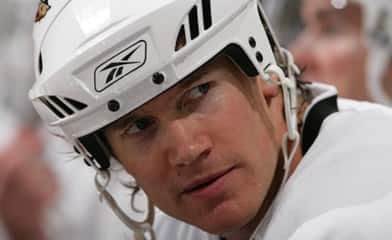 Other than being one of the top defenseman in the league, Chris Pronger was brought in by the Flyers to be an active leader and influence for the young core. And with a month still remaining before training camp on Sept. 13, the veteran defender’s job as a role model has already been put in motion. “I’m usually here around this time trying to start skating and preparing for the season, and doing all the little things that it takes to be ready to go for the start of camp,” Pronger told the Flyers’ Kevin Kurz, about showing up to camp a month early. After putting on the stall tactics for a day, the Flyers have officially inked 25-year old defenseman Ole-Kristian Tollefsen to a one-year deal. Terms were not immediately disclosed. “He checked out OK,” General Manager Paul Holmgren told the media.